Learn Everything about Sauvignon Gris. Sauvignon Gris is perhaps the most obscure grape in the entire Bordeaux wine appellation. The grape came close to being extinct following the phylloxera epidemic. Today, not much is planted. Out of all the white wine grapes used for the production of Bordeaux wine, only 2% are devoted to Sauvignon Gris. The history of Sauvignon Gris is sketchy. Researchers think it is an interesting mutation of Sauvignon Blanc. 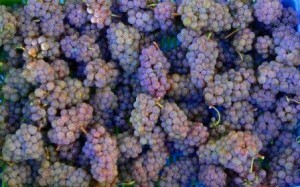 The original name for the grape variety was Fie Gris. The grape was almost nonexistent, until it was rediscovered by Jacky Preys, a grower and wine maker from the Loire Valley. Jacky Preys is one of the few producers making wine from 100% Sauvignon Gris. Not many vineyards from any country use Sauvignon Gris. Most of it is found in Chile, Bordeaux, Australia and New Zealand. Interestingly, the grape is used for blending in France. French AOC law dictates that wineries are not allowed to bottle it as a single varietal. However, in Bordeaux, Chateau de Bellevue makes a wine from 100% Sauvignon Gris. Sauvignon Gris pairs well with all types of fish, shellfish and cheese. Sauvignon Gris also makes a good wine and food match with lighter roasted or grilled white meats. Sauvignon Gris is usually the first fruit to be picked at the start of the Bordeaux wine harvest, as it is an early ripening varietal. While the berries thick skin displays a distinct, red, pink hue, the inside of the grape is white and the juice is white. Sauvignon Gris is only included in the production of white Bordeaux wine. The grape is high in sugar with good acidity and the yields are often naturally low, which delivers good concentration of flavor. Some of the best producers in Pessac Leognan use it in their Bordeaux Blanc blends. Chateau Haut Brion, Chateau Smith Haut Lafitte and Chateau Pape Clement use varying amounts of Sauvignon Gris in the blends for their wines. In fact, Pape Clement uses up to 5% of the varietal in their Pape Clement Blanc. Sauvignon Gris is also planted in the Haut Medoc appellation. Chateau La Tour Carnet includes it as part of their blend. In the Right Bank, Valandraud includes it as a portion of their white Bordeaux wine. Monbousquet is another St. Emilion estate that uses Sauvignon Gris in their blend. In fact, in some vintages, they’ve included as much as 30% in their assemblage. 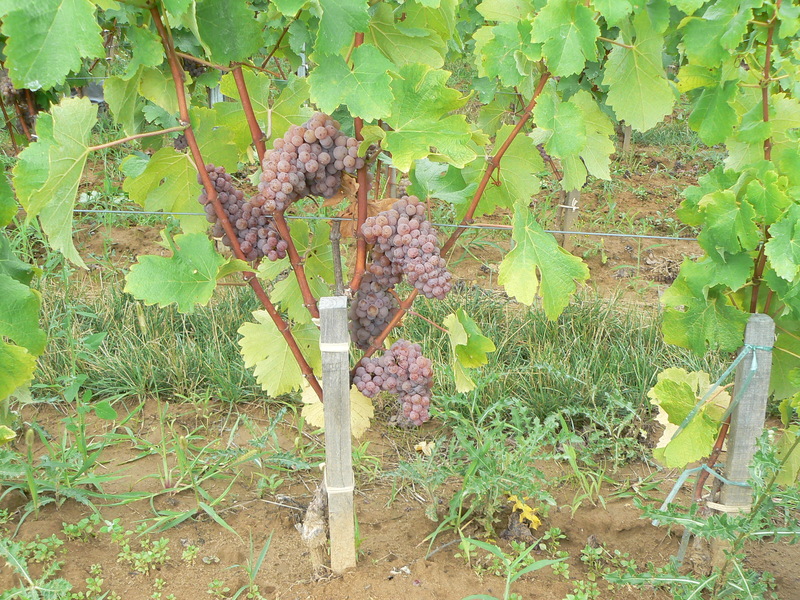 Chateau Fombrauge maintains an average of 20% Sauvignon Gris in their vineyards as well. Chateau Puygueraud with a 4 hectare parcel of vines that is planted to 55% Sauvignon Gris. This is followed by Chateau La Garde in Pessac Leognan, with 50% of their vines devoted to the varietal. However, the record for the highest percentage of Sauvignon Gris planted in a Bordeaux vineyard belongs to Chateau de Bellevue in Lussac St. Emilion, as they produce a wine from 100% Sauvignon Gris, which is sold as a Bordeaux Blanc. Tronquoy Lalande also makes a small amount of white Bordeaux wine using 30% of the grape in their blend. Chateau Tour Saint Christophe is the first estate to produce a Bordeaux wine made with 100% Sauvignon Gris. 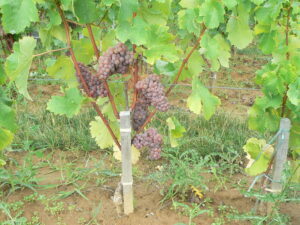 Other Bordeaux wine producers include a small amount of Sauvignon Gris in their vineyards as well. For example, Chateau Palmer in Margaux uses up to 15% Sauvignon Gris in their hard to find white wine blend. In California, Chalk Hill makes a wine from 100% Sauvignon Gris from grapes planted in the Russian River appellation.